The Boston car accident lawyers at Breakstone, White & Gluck are experienced in handling car accidents, from insurance claims to trials. 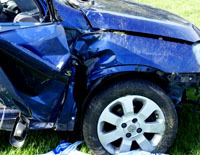 If you have been injured in a car accident, protect your rights. Contact us today for a free legal consultation at 800-379-1244 or 617-723-7676 or use our contact form.